Bootlin engineer Paul Kocialkowski will give a talk titled Origami-EC: towards a free software firmware for the Embedded Controller, in which he will present one of his personal projects. Bootlin engineer Maxime Chevallier will give a talk about Networking under Linux, in which he will give an introduction to the Linux kernel networking stack. 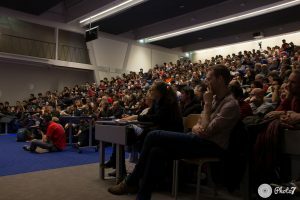 We encourage free software developers and users from the south west of France to join this event, which has been organized for several years, and provides a very nice selection of talks and tutorials. And of course, this conference is entirely free, and no registration is required.